A volunteer-run citizen's group is organizing an April 29 march on the Vermont statehouse to call for the closing of the Vermont Yankee nuclear power plant. “We need to show Vermont legislators that the citizens of Vermont want Entergy Corporation held accountable for decommissioning, and we want the dirty, dangerous, unreliable, and costly Vermont Yankee nuclear power plant shut down,” said event organizer Debra Stoleroff, of the Vermont Yankee Decommissioning Alliance (http://www.vyda.org/). Food co-ops keep consumers’ money in the local community, unlike chain supermarkets like Stop and Shop or Price Chopper. The Greenfield food co-op opened in 1980; the Brattleboro one, also in business for decades, is the size of a small supermarket. The Nuclear Free Jubilee, a parade and rally to close the Vermont Yankee nuclear power plant, is set for Saturday, Oct. 25, in Brattleboro. Nerissa and Katryna Nields, about whom the Washington Post has written, "Their harmonies are tight, their spirits unflagging," will perform at the rally, as will folk singer Charlie King. Under pressure from the public, the Vermont Legislature can close the Vermont Yankee nuclear power plant. The Vermont Legislature will make history in a vote expected as early as January on whether to allow the Vermont Yankee nuclear power plant to continue operating after 2012. Never before has a state taken such a vote. 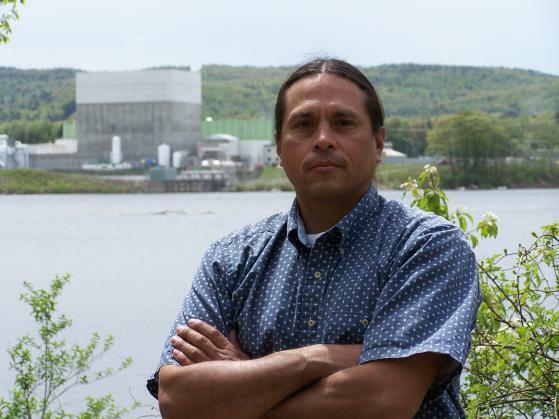 "This is a tremendous opportunity for us," said Deb Katz of the Citizens Awareness Network, an antinuclear group based in Shelburne Falls, Mass. "But it's not going to be easy." Four years ago, Home Depot opened a store in Brattleboro directly across the street from a locally owned hardware store. A citizens' group called BrattPower quickly formed to call for a boycott of the giant corporate chain. Members of the group stood outside the Home Depot holding "Shop Local" signs and talking to passersby about the importance of keeping their money in the community. The consequences of growing corporate control of mass media were underscored as never before at the fourth National Conference for Media Reform, held June 6-8 in Minneapolis. Some 3,500 people heard Stanford law professor Lawrence Lessig and others hammer major news outlets for suggesting that scientists seriously disagree on whether global warming is caused by human activity. Other speakers argued that more diversity in media ownership—and therefore of coverage—would hasten the end of war in Iraq and enhance organized labor's attempts to reduce economic inequality.